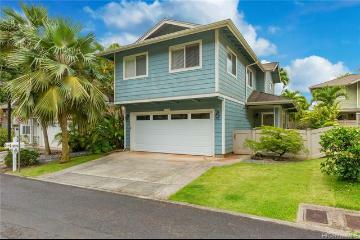 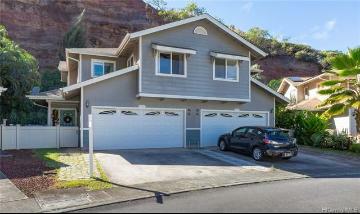 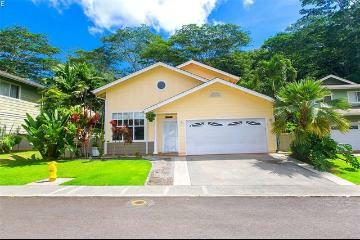 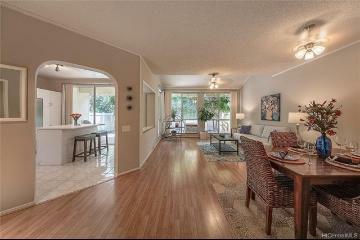 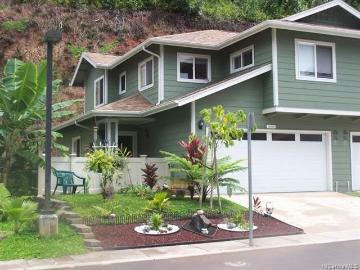 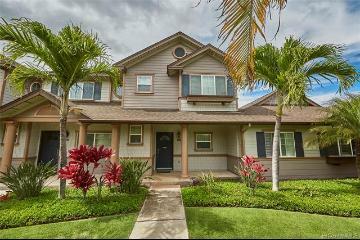 Beautiful Woodcreek Crossing home in scenic Launani Valley. 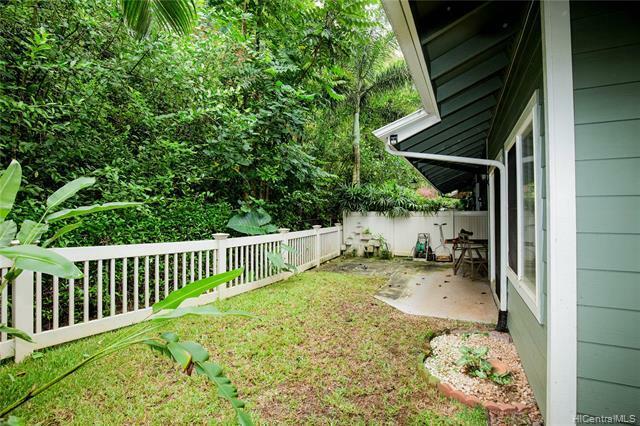 Serene and quiet location at the end of a Cul-de-Sac with wooded hillside in back. 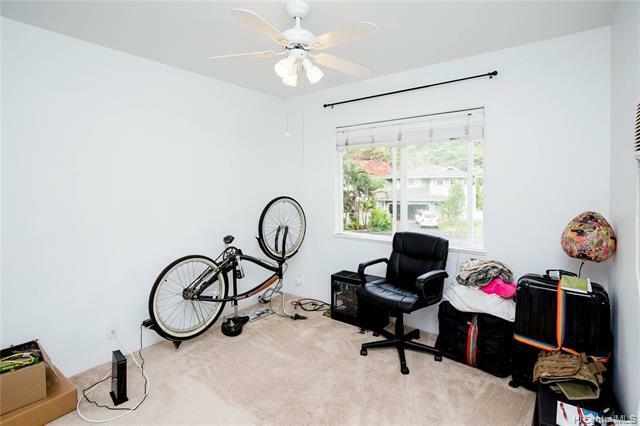 Features a 2-car garage with painted floors and additional parking in the driveway. 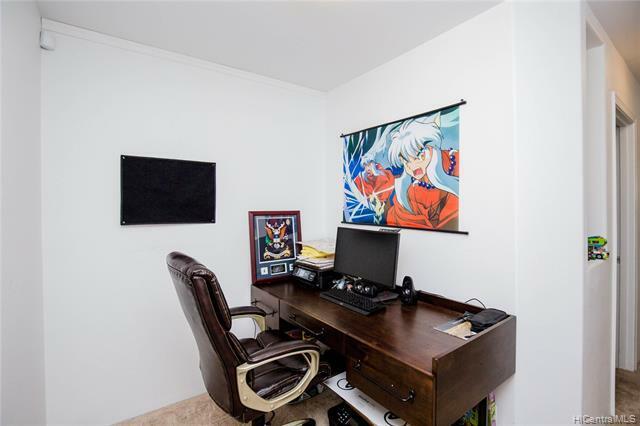 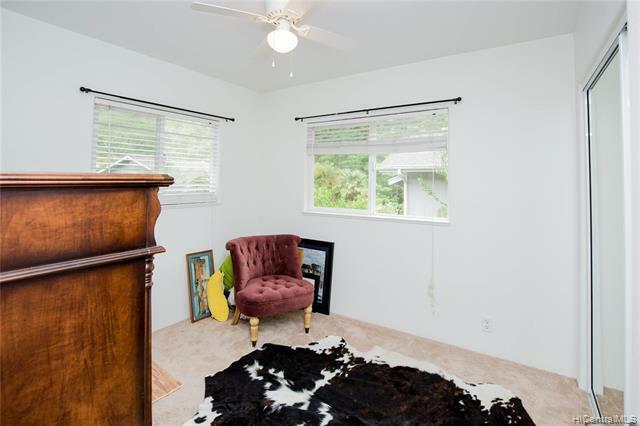 Carpeted upstairs with hardwood floors downstairs. 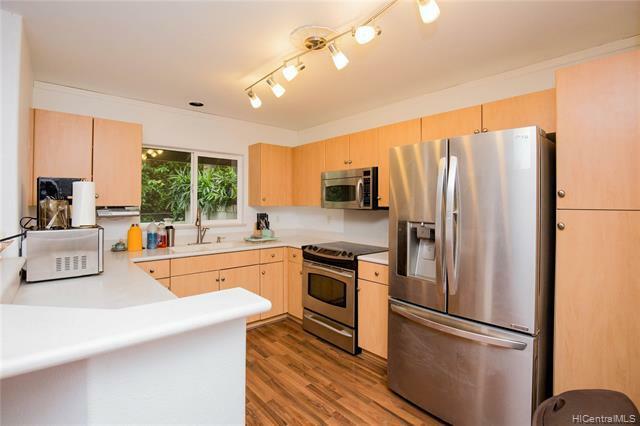 Kitchen appliances are stainless steel with an updated refrigerator and large microwave hood. 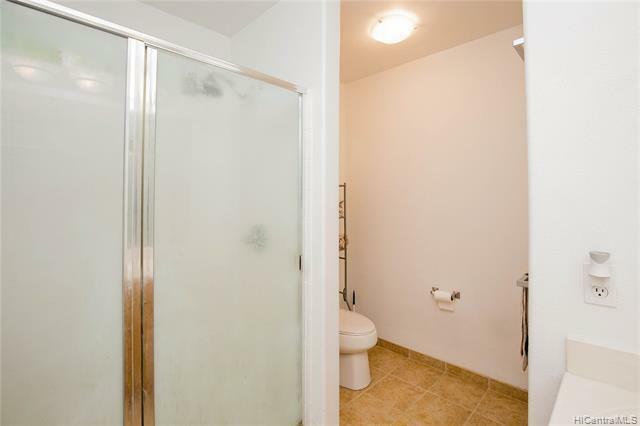 Lots of cabinet space. 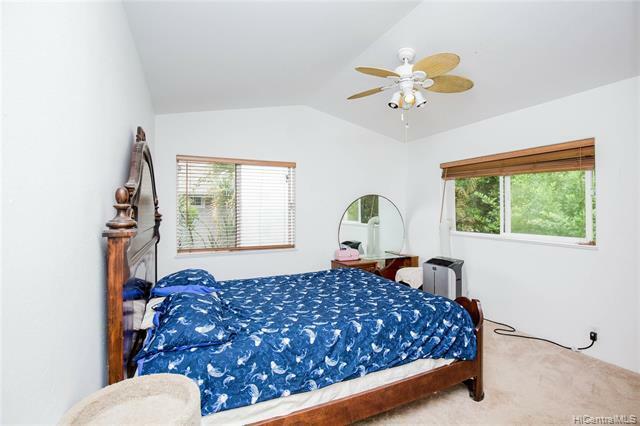 Portable AC units in Master Bedroom and Living Room. 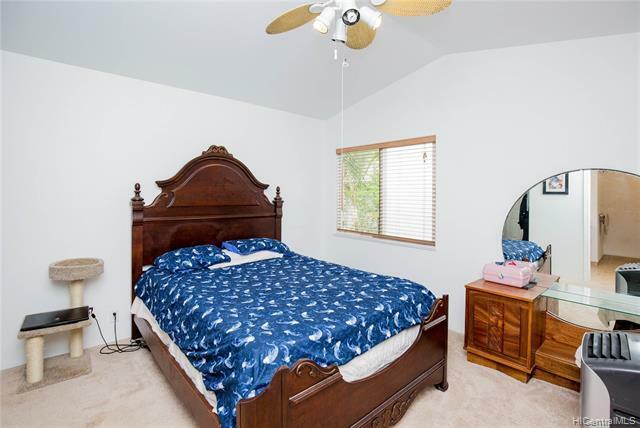 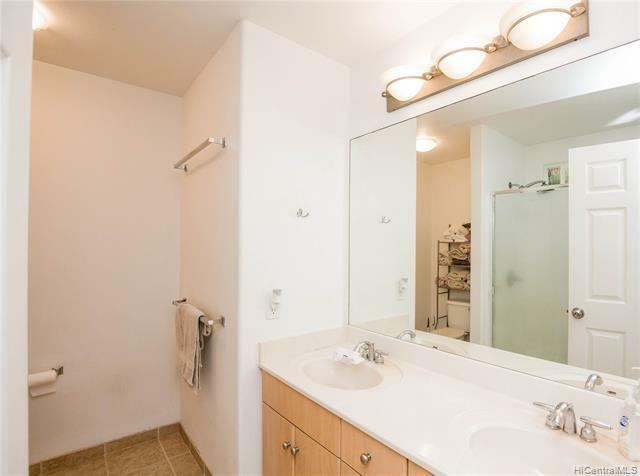 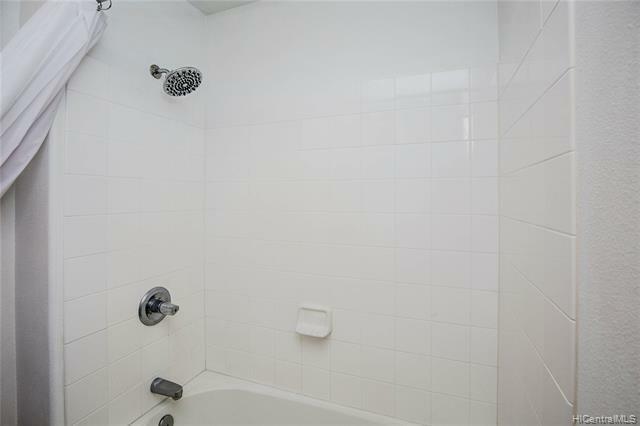 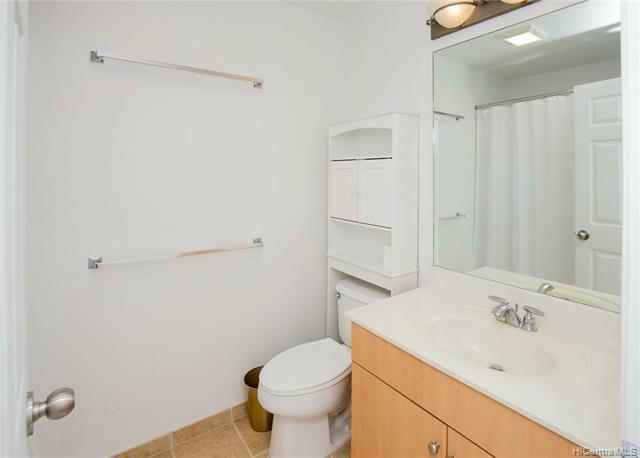 Master bedroom boasts spacious walk in closet, x-large shower and dual vanity sinks. 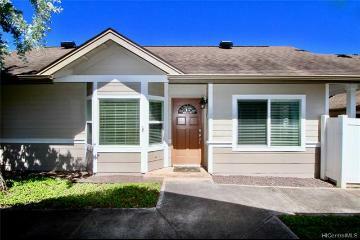 Easy access to recreation park w/basketball and tennis courts, and jogging/walking path. 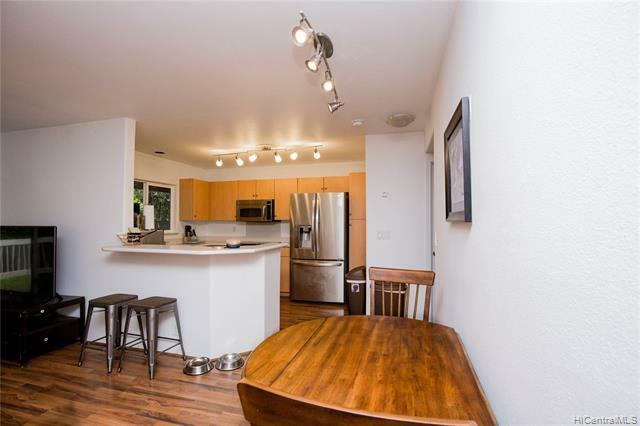 Nearby to grocery stores, dining and entertainment. 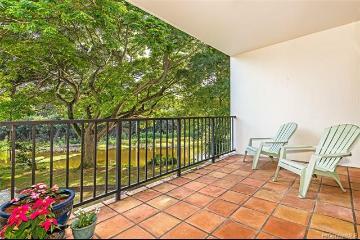 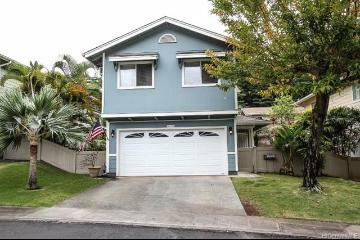 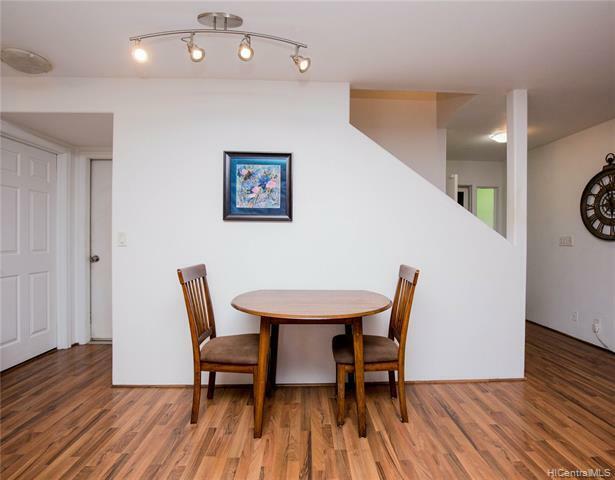 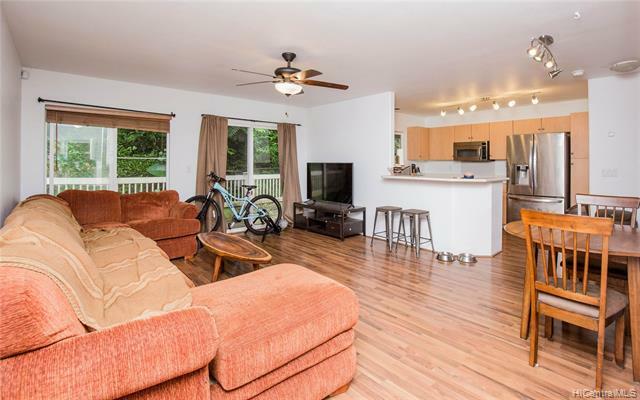 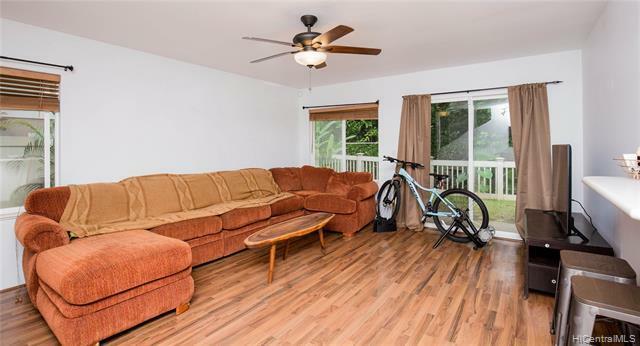 Easy access to the H-2 Freeway, Schofield Barracks, and Wheeler Army Air Field (WAAF). 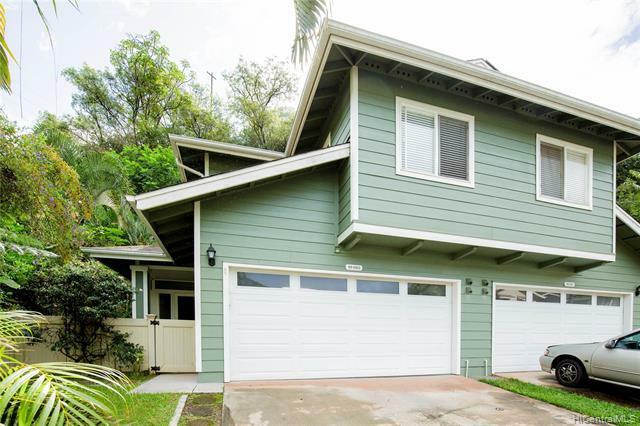 95-1363 Wikao Street 41 Mililani 96789 is listed Courtesy of Hawaii Military Realty, Inc.
95-1363 Wikao Street, 41, Mililani, HI.